Insurance is suppose to protect policyholders from accidents or disasters, but often times adjusters will deny claims for lack of coverage. This can be frustrating and confusing to policyholders. 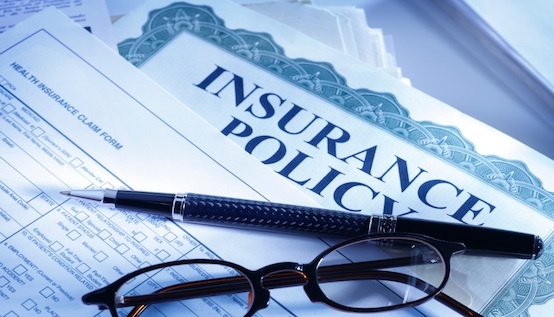 Insurance agents and adjusters regularly misrepresent or fail to notify policyholders regarding the scope of coverage. Our firm will help our client’s through the claims process and coverage litigation. We also seek reimbursement for attorney’s fees. Schedule a free consultation with our firm today—call (214) 699-6524 or send us a message online. If you suspect that your insurance company, agent, or adjuster is unfairly denying your claim, giving a low offer, or delaying payment on your claim, they may be violating the Texas Insurance Code or Deceptive Trade Practice Act. Insurance companies, agents, and adjusters cannot be false, misleading, or deceptive while handling your claim. If they do, you could receive up to three times your actual damages as well as attorney’s fees. Our firm often files suit against insurance companies for falsely denying claims, misrepresenting their policy, and fraud. In Texas, drivers are required to have insurance on their vehicles, but that’s not always the case. According to a study by the Insurance Research Council, there are approximately 1.6 million uninsured drivers in Texas. If you get hit by one of these drivers, you will probably have to set up an uninsured claim against your insurance carrier to collect for your bodily injuries. Uninsured drivers aren’t the only problem in Texas. Many drivers only carrier the minimum insurance policy, which is $30,000 for each injured person, up to a total of $60,000 per accident, and $25,000 for property damage per accident. Often times, we have to collect from our client’s underinsured motorist coverage, because we have obtained a value higher than the other driver’s policy limits. If an insurance company denies coverage for a claim, our firm will bring a coverage lawsuit directly against the company. This lawsuit may include claims for insurance code violations, deceptive trade practice, bad faith, breach of contract, and declaratory judgment. We will also seek compensation for the our client’s original damages as well as mental aguish damages caused by the insurance company and reimbursement for attorney’s fees and court cost. Property owners are responsible for their guest’s safety. They must keep the property reasonably safe and free of hazards. Slipping and falling on someone else’s property can cause serious injury. Victims often times suffer injuries to their knees and wrists, which sometimes require surgery. Our Firm will investigate the scene, determine if the owner had knowledge of the dangerous condition, and help recover compensation for medical expenses, lost wages, mental anguish, and pain and suffering. Insurance is suppose to protect policyholders from accidents or disasters, but often times adjusters will deny claims for lack of coverage. This can be frustrating and confusing to policyholders. Insurance agents and adjusters regularly misrepresent or fail to notify policyholders regarding the scope of coverage. Our firms will help our client’s through the claims process and coverage litigation. We also seek reimbursement for attorney’s fees.